Meet Artist Joan Giannechi. Light refreshments served. 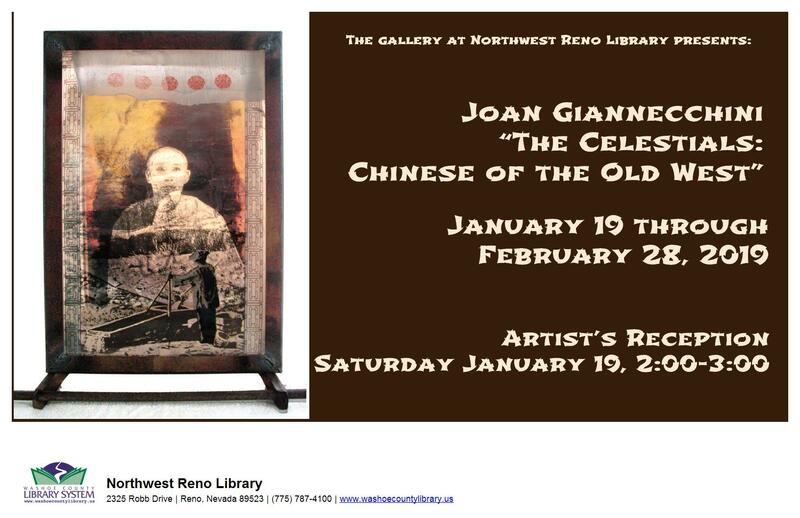 In this project, ”Celestials”, the artist has tried to re-animate some of the emotions, thoughts, ideas and longings of departed Chinese immigrants, using photographs of real people whose existence is only remembered now in museum archives, and create a reconstructed environment that will hopefully bring to mind the hardships, the loneliness, the uncertainty and also the immense bravery and optimism of these immigrants, who traveled ten thousand miles to make their fortunes in “Gold Mountain”, America. Visit the exhibit January 19 through February 28, 2019.